J. Michael Hartman & Company Inc. - Inaccurate tax filing can set the alarm bells ringing for your business. Get help from J. Michael Hartman & Company situated at Sanford, FL. J. Michael Hartman & Company Inc. Inaccurate tax filing can set the alarm bells ringing for your business. Get help from J. Michael Hartman & Company situated at Sanford, FL. Inaccurate tax filing can set the alarm bells ringing for your business. Get help from J. Michael Hartman & Company situated at Sanford, FL for precise tax preparation, bookkeeping, and business accounting services. Are you worried about the tax due of your income this year? David Fine has to offer you tax services in Miami that are well planned for your source of income. 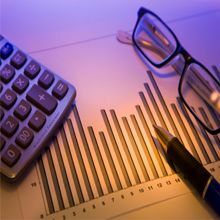 WB associates offer general accounting services to companies which include book keeping, tax filing, auditing, financial statement preparation, invoicing, sales tax returns, etc.